Even at 90 degrees, you can be a professional. Here are some new outfit ideas for when it's blazing hot. For strict offices where you need to keep covered, think loose. 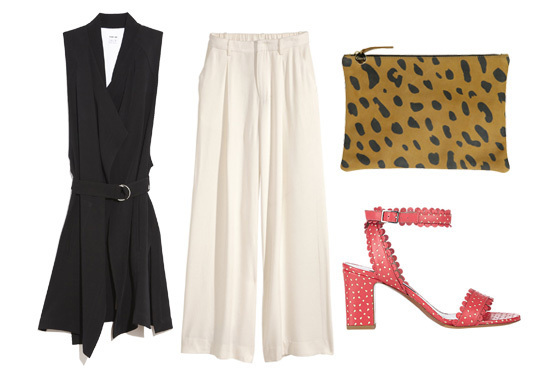 A feminine blouse and a breezy midi skirt won't stick to your skin like that pencil suit. For accessories, try statement earrings to accentuate however you've pulled your hair back. Get the look. 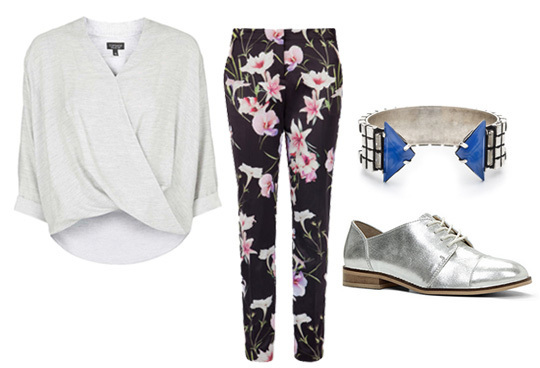 If your workplace allows for a bit more experimentation, we love a pair of tapered trousers with a draped blouse and funky brogues. Get the look. Tech and media folks, get in on this of-the-moment combo: gigantic palazzo pants coupled with a sleeveless trench vest. You'll look like a boss--but a cool one. Get the look. If you're running all over town from meeting to meeting, the key here is layering. 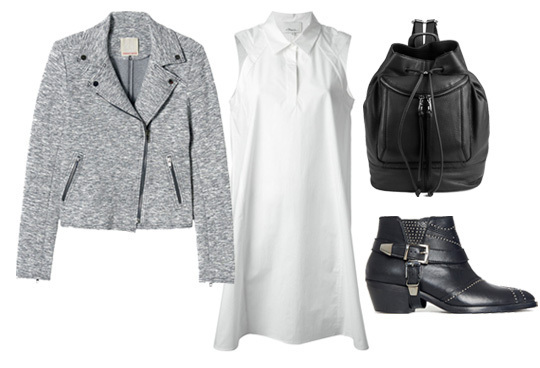 Invest in a nice cotton shirtdress that you can top with your favorite jacket (only once you're safely inside an air-conditioned space). Get the look. Think: Peggy Olson vibes. 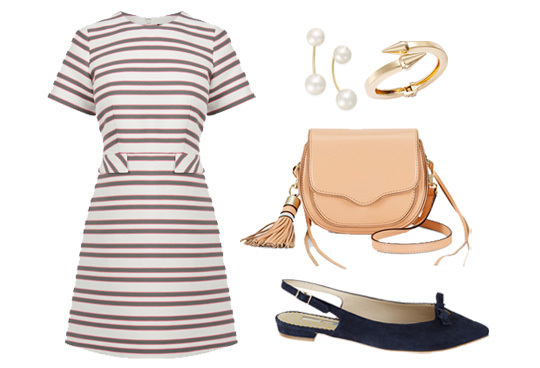 A structured little sundress and pointed flats will keep you looking classy, while a trendy mini bag and double-stud earrings can take you to happy hour afterward. Get the look. This is a no-skinny-jeans zone. 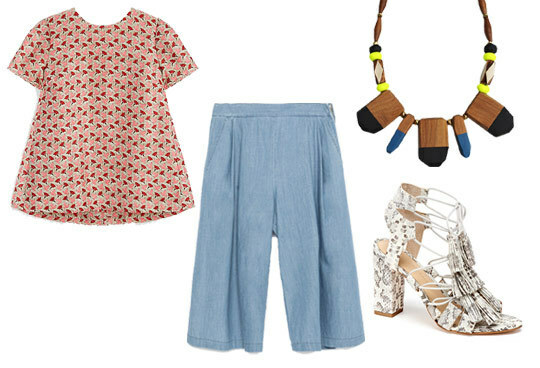 Instead, opt for chambray culottes to let, um, things breathe. It's a much better way to kick-start your weekend. Get the look.